Better. You remembered to add a Canada...Just not quite as many next time, hmm? 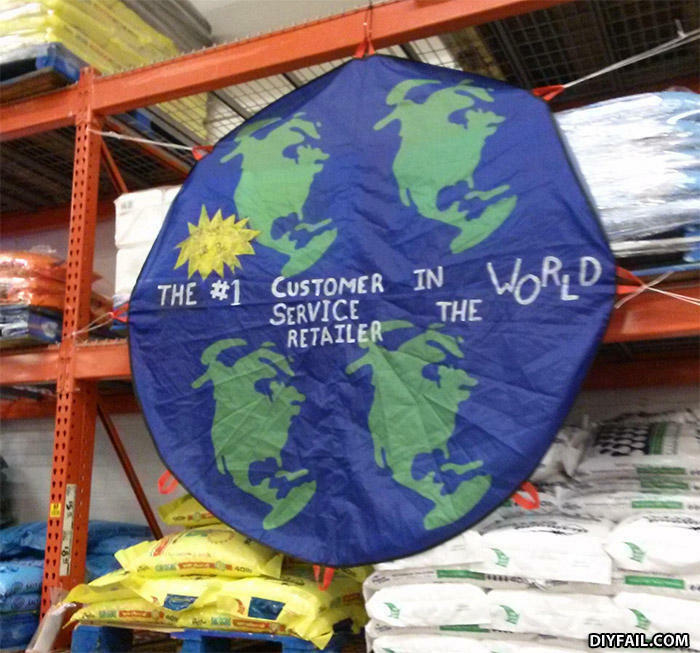 The #1 customer in world service the retailer? This country needs to change its worldview. North America is all that matters anyways. Is that in Home Despot? There would be a lot of fighting if that was what the world looked like. I don't know what planet you're on. Literally, what are those, 4 identical, equally spaced Americas? Why didn't Suzie answer her mother? Suzie has a serious condition where she is mute and also severely deaf.